Sorry for the lack of posts, but February is always a busy month for me. I was going to post my Valentine's mani and look on Valentine's evening, but after Aki and I's v-day outing (went to a Vermeer Exhibition) and early dinner (I was wondering why we were dining so early), he surprised me with a 3-night getaway (he even packed a bag for me). I got home late Tuesday night, and was booked the remainder of the week...coming home at awful hours. 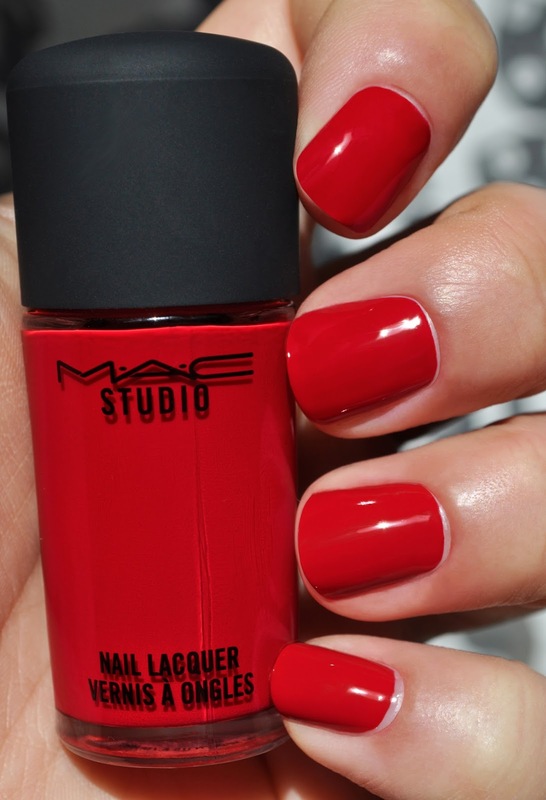 My Valentine's Day mani was MAC's Red, Red, Red Studio Nail Lacquer. Normally, I'm not a fan of the wear time of MAC nail lacquers, but, every now and then, I do pick up a polish, or two, from each of the million collections the brand releases each year. Red, Red, Red is a beautiful, creamy, primary red, that is practically opaque (in one coat! ), with a lovely glossy finish. Red, Red, Red went three days without a chip; a big feat since MAC polishes usually chip to the high heavens by the end of the first day. Overall, I enjoy catching glimpses of my Red, Red, Red manicure, and I love how the polish looks on my nails. 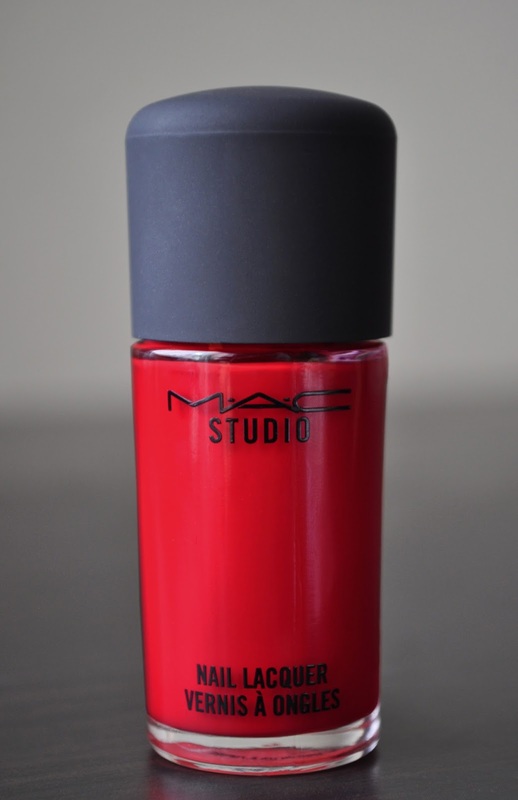 What are your thoughts on MAC Lacquers? That color is gorgeous but I'm with you, MAC polishes chip almost immediately. The older MAC polishes used to wear well. But, it seems when the packaging changed, so did the formula. However, Red, Red, Red is a stunner, and it wear very well.